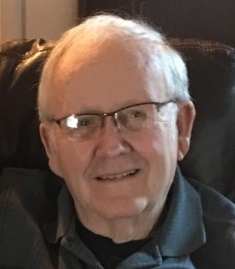 Gene Jackson Harris, 85, of Pineville passed away peacefully in his sleep alongside the love of his life on Saturday, March 30, 2019. Born April 2, 1933 in Jenkin Jones, WV, he was the son of the late Perry and Ruth Hunley Harris of Itman. Gene was a Korean War Veteran and a retired coal miner from Consolidated Coal Company with 38 years of service. Following his retirement, he was employed in the natural gas industry for over 25 years. Gene was a charter member of the Pineville Church of God and served as the clerk for over 20 years. He loved his church and spent countless hours doing service for the Lord. He was a family man who spent his life taking care of those he loved. In addition to his parents, he is preceded in death by his brother, John, two sisters, Janice and Helen, and father and mother-in-law, Oscar and Bertie Adams. Those left to cherish his memory include his loving wife of 62 years, Glenna Mae Harris, daughter, Vickie England and her husband Gerald of Jesse. Son, David Harris and his wife Tammy of Beckley, two grandchildren, Davy Harris of Beckley and Brittany “Binki” Harris of Charleston, two great-grandchildren Kamdyn and Jax Harris of Beckley, and a host of family and friends. Pall bearers will be Davy Harris, Jeffery Goode, Michael Goode, Ricky Osborne, Steve Adams, and Jesse Dotson. He will be honored by receiving full military graveside rights as we lay him to rest at Blue Ridge Memorial Garden in Beckley.